Grown in the slopes of the Himalayas, Darjeeling black tea is considered one of the best black teas in India and in the world. 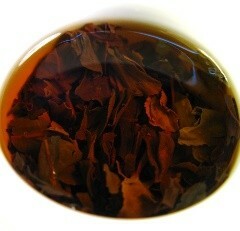 Twisted downy shoots, the tea leaves range from green-chestnut to dark chestnut brown in color. This Indian black tea is best known for its unique flavor: nutty muscatel notes that resemble no other tea. This is the reason why this tea is considered the Champagne of teas. Rich in flavor and in health benefits, this is a tea that you can enjoy every day. the Indian Champagne of Teas! What is Darjeeling Black Tea? This black tea comes from tea estates the district of Darjeeling in northern India. High up in the Himalayas (between 400 to 2000 meters in altitude), these tea gardens present the perfect conditions for growing a unique tea: rich, loamy soil and plenty of rainfall. Unlike other black teas, Darjeeling black tea is not fully oxidized, resembling more an oolong tea although quite different from the actual Darjeeling oolongs. The first tea to be grown in the Darjeeling district was brought by the English from China. These camellia sinensis tea seeds and plants were first planted in the mid-19th century. These original Darjeeling black teas were produced were of such high quality and enjoyed such success that many tea plantations in the region were soon established creating a tea with a reputation of its own. Today teas are sold worldwide either as a blend of many tea gardens under the simple designation of “Darjeeling tea”, or from a single estate with the indication of the tea garden and grade. If you wish to learn more about teas produced in the Darjeeling tea gardens, go ahead and look at our Darjeeling tea page. Now let’s take a look at the many varieties this wonderful tea has to offer. Darjeeling tea is harvested five times around the year. Each harvest is called a flush and each has different characteristics that affect the color and flavor of your tea. First Flush (Spring) - this first harvest takes place between the end of February and the end of April. Tea connoisseurs greatly appreciate this high quality and rate tea. This tea flush is mainly composed of young shoots, called “golden tips” that remain green to brown in color because it is less oxidized than other flushes. This Darjeeling black tea should be steeped for 2 to 3 minutes in slightly boiling water, resulting in an intensely floral tea with notes of peach and honey, and a light yellow color. In-Between Flush – Extremely rare harvest that takes place in the beginning of May in certain tea gardens. This Darjeeling black tea blends the greenness of the first (spring) flush and the roundness and maturity of the second (summer) harvest. Brew this tea in nearly boiling water for 3 to 4 minutes. Second Flush (Summer) – This is the biggest harvest of the whole year, taking place from mid-May to June, during the warm season before the rains come. Teas produced in this season are of excellent quality, with small darker brown leaves, stronger in flavor, with a mild astringency, and more muscatel and fruit notes, such as citrus and apricot. Brewed with slightly boiling water for 3 to 5 minutes, results in a tea with a darker colored infusion than the first flush tea, more amber or coppery, still not as dark as some black teas. This is a great tea to be enjoyed in the morning or throughout the whole day. Third Flush (Monsoon) – Between July and September, tea is harvested under heat and the heavy rains of the monsoon. These are not the best conditions to make a great tea. The rainy season accounts for less sunlight, so even though the tea leaves grow faster the resulting flavor is more muted. Leaves in these conditions are less withered and thus become more oxidized than teas from other flushes. Less appreciated by tea lovers, monsoon flushes are destined for iced tea, tea bags or blended with strong spices such as is the case of masala chai. Fourth Flush (Autumnal) – This is the last harvest before the tea plants hibernate for the winter. It takes makes after the rainy season, in October to mid-November. Temperatures begin to cool down and the soil gives up its last nutrients before it dries out. The result is a tea with larger leaves that produces a stronger and darker brew, good for all times of the day. 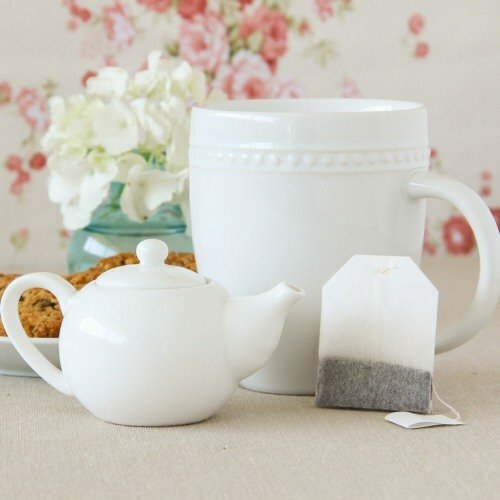 This fourth flush tea is considered full-bodied, rich and smooth with less floral notes. It has a flavor resembling ripe fruits with a nutty, even woody, profile. Let’s now take a look at what great benefits you may reap by enjoying a daily cup of this black tea. Darjeeling black tea contains antioxidants that may be beneficial for you as well as vitamins and minerals that can help improve your health one cup at a time. Let’s find out how. Darjeeling black tea contains caffeine that may help boost your metabolism. This means that if you suffer from sluggish digestion, then by drinking a cup of this tea after your meal it may help reduce heartburn and discomfort to your stomach from indigestion. Black tea may help improve your intestinal flora coming in aid when you suffer from constipation or diarrhea. It keeps you hydrated, something that is important when you have bowl issues. Boosting your metabolism does more than just help digest food better. Darjeeling black tea may also help you lose weight in this fashion by breaking down food faster and getting rid of unwanted waste at the same time. With less time to absorb fatty elements in food, you may naturally start to slim down. Remember that you should also change to a healthier diet and do plenty of exercise as well. Tea will just help the weight loss process to go smoother. Antioxidants present in Darjeeling black tea may strengthen your heart by helping to lower your LDL (bad) cholesterol levels that may lead to the buildup of plaque in your blood vessels. By strengthening and unclogging your blood vessels, this tea may be a key to reducing the risk of cardiovascular problems such as heart attacks and strokes. However, if you already suffer from heart disease talk to your doctor about drinking this tea as like all other teas it, too, contains caffeine. Tea is said to be a healthy alternative to coffee and this is why. Black tea like this one also contains caffeine, but it works differently. Caffeine in tea is dispersed more slowly into the bloodstream than caffeine in coffee is, but at the same time it lasts longer, keeping you more alert throughout the day. At the same time another amino acid is released from the tea leaves when you brew your tea: L-theanine. This component actually relaxes your mind and relieves stress. The result is a calm awareness and focus. Although further tests are still needed, there is seems to be hope that tea may help reduce the risk of certain types of cancer and tumor growth. Antioxidants in teas such as Darjeeling black tea boost your immune system and build up your defenses against daily environmental threats that may cause harm at the cellular level. By protecting your DNA, there is hope that tea may prevent cellular degeneration that leads to cancer. This is why antioxidants may also be linked to the prevention of premature aging and skin rejuvenation. Unsweetened tea may help your digestive tract right where it all begins: your mouth and teeth. Drinking Darjeeling black tea may help to fight bacteria in your mouth that could lead to stomach problems if left unchecked. Rinsing your mouth with tea may help your dental health because of the fluoride content in your tea and you also wash away bacteria from your teeth and gums. These are some of the benefits of Darjeeling black tea. If you wish to learn more general information about this, check out our benefits of black tea page. Would you like to try this tea? 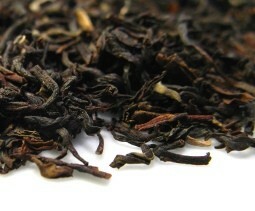 Darjeeling black tea contains a moderate to high amount of caffeine. The amount of caffeine in your tea may vary with the grade of the tea. 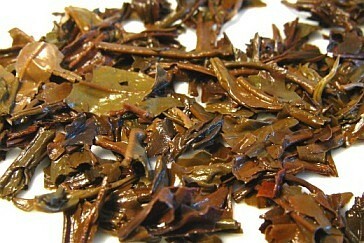 When grading teas T usually stands for Tippy which is a tea that contains leaf tips. A tippy tea will be richer in caffeine as it is in the tips of the leaves and buds that the tea plant stores caffeine to defend itself from insects. If you are sensitive to caffeine you may experience difficulty sleeping, headaches, nervousness and irritability. Consider drinking less tea or perhaps changing to herbal teas that do not contain any caffeine. If you are pregnant then you should talk to your doctor and discuss what amount of Darjeeling black tea you may or may not drink. Caffeine has benefits and side effects so it is always to know what the right balance for you is. Enjoying a good cup of tea is not hard at all. Just follow some simple instructions (mostly these are just suggestions) and you should do perfectly fine every time. So let’s take a look at how to brew Darjeeling Black tea. Get a large porcelain teapot, round in shape preferably. And if this is your first time tasting this tea, you may also want to use white tea cups so that you can better see the color of the brewed tea. Use hot water to preheat your teapot and tea cups. 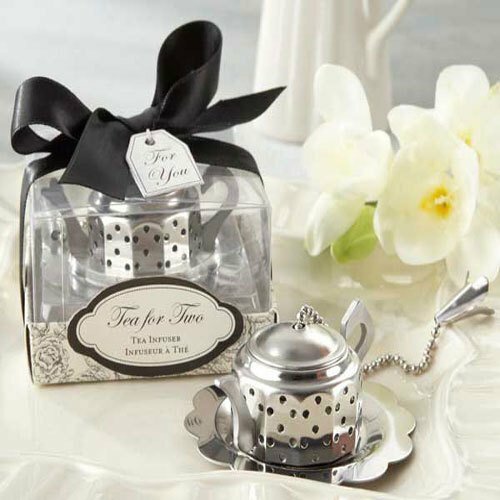 This will prevent your tea from cooling down to quickly or not brewing at the right temperature. Once your teapot feels warm, discard the water and place in the empty teapot one teaspoon of loose leaf tea per cup it holds. 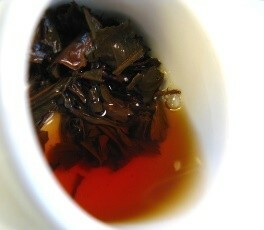 Black teas are regularly brewed with boiling water. However, since Darjeeling black tea may not be fully oxidized, you should consider using water at 95ºC (203ºF) so as not to ruin the tea. To achieve this sort of temperature precision you could use an electric tea kettle that allows you to set the temperature you wish the water to achieve. If you don’t have one, then if the water boils, let it sit for a couple of minutes to cool down a bit and consider purchasing a kitchen thermometer. Adjust steeping time to the tea flush you are brewing: first or spring flushes only need 2-3 minutes; more common second or summer flushes need 3-5 minutes. These steeping times are just a reference for you to start out, but if you let your tea steep for too long it may become bitter. So adjust brewing time to your liking. Pour the tea into each cup and observe the color of this wonderful tea: light straw yellow for a spring flush infusion; golden yellow for summer flush; and darker amber for the autumnal flush. As you wait for your tea to cool down to drinking temperature, smell its unique aroma. A spring flush will have more floral notes, while the summer flush will have the nuttier muscatel aroma of ripe fruits. Do not add milk to this tea. It will taste better without it and probably reduce some of the benefits of this tea. If you wish, you may add a bit of lemon juice or honey to sweeten your Darjeeling black tea. A good quality tea such as this may be rebrewed more than once, but remember to increase steeping time in order to get the same flavor out of your tea leaves with each brew. 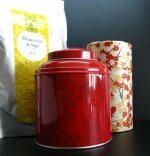 Store your tea in a dry airtight container and place somewhere where it will not suffer from excess temperatures or humidity, preferably away from direct sunlight so that the leaves will not age prematurely. Quick and easy, wasn’t it? Why not give it a try? 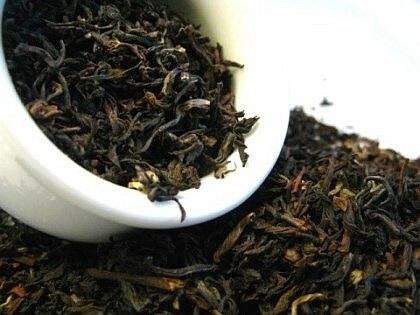 Buy Your Darjeeling Black Tea Today! Click on the image or on the link below to purchase from Art of Tea your Organic Darjeeling. This is an awarding winning tea! 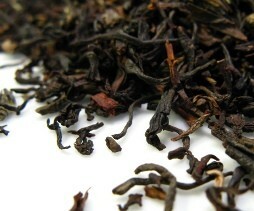 A black tea from the Makaibari estate in the Darjeeling district that is both organic and fair trade. 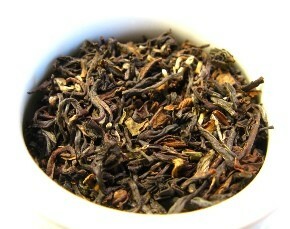 With the typical muscatel flavor of all Darjeeling teas, this one is a Autumnal flush tea that has crispy apple tones. Perfect for a fall cup of tea. Buy Your Organic Darjeeling Tea here! Have a sip of this wonderful tea and judge for yourself whether or not it deserves its honorary title. Taste the Champagne of Teas!